Tonight DJ Mel will be guesting on "The Let Out," our weekly jump on East Village Radio, made possible by Dewar’s. 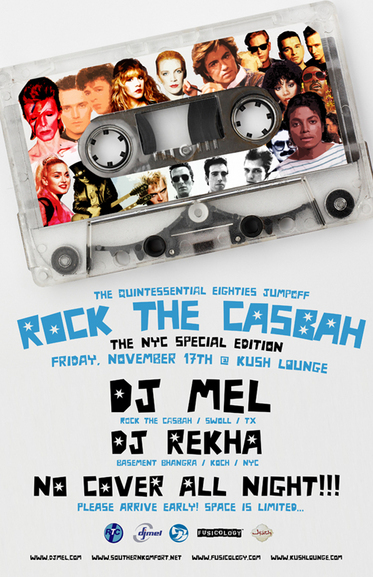 The Texas boy is bringing his wildly successful Rock the Casbah party to NYC's Kush Lounge later in the evening (with our girl DJ Rekha opening, no less!) but will be dropping jewels at the station beforehand. Tune in live from 6-8pm EST or subscribe to the podcast and listen at yr leisure.